Unfortunately, fire damage is a fact of life and a normal risk for many businesses and homeowners. Fire and smoke damage may make your business or residence uninhabitable. The disruptive nature of being separated from your home or work environment may even threaten someone’s livelihood. Subsequent to a Fire Loss you may be surprised that your feel good insurance company commercials don’t match the response from your carrier. Often insurance companies will require very strict compliance record keeping in order to be able to recover the true value of your destroyed or damaged personal property. Further, after a fire loss, carriers often begin investigations into arson and may request that you submit to an Examination Under Oath (“EUO”). Make sure you know your rights after a fire loss and that you understand what you are entitled to recover pursuant to the terms of your policy and Florida law. Although every policy differs, the portions dealing with a fire loss typically provide coverage for every loss, damage or injury to insured property that was damaged as a direct result of a fire. Usually, if a covered loss exists, fire coverage will provide recovery for the damage caused by the fire as well as incidental forms of damage including damage to materials caused by smoke, soot or heat. Additionally, you usually are entitled to incidental damages caused including damage caused by firefighters in putting out the fire. As you might expect, one of the largest exclusions to coverage under a typically property owners policy is damage resulting from a fire that was non-accidental. Against the backdrop of most claim investigations involving a fire loss will be an investigation regarding the cause of the fire. Most policies will contain an exclusion for coverage to a dwelling for a fire loss if the property was “unoccupied” for a specified time period. If the fire has damaged your home to an extent that a city refuses to allow the building to be repaired and orders it demolished you may be entitled to seek payment for the full value of your home under the policy. Otherwise, if your home has not been totally destroyed, the carrier is typically responsible for paying the replacement cost, an amount to repair the property at its current cost, without depreciation. What we often see is a building that should be paid out as a total loss treated as a replacement cost value claim. This is critical and mean the difference between full indemnity for your loss and simply a partial payment that fails to make you whole. For an analysis of a total loss, check out State Farm v. Ondis, 962 So. 2d 923 (Fla. 1 st DCA 2007) and Florida Statutes 627.702 and 320.01. One of the most difficult challenges homeowners face when dealing with t heir carrier after a fire loss is an accurate and fair accounting of your damaged personal property. Photos and receipts are critical. Whether you insurer will be willing to replace your items may in large part depend on how well you properly document the inventory of your items. 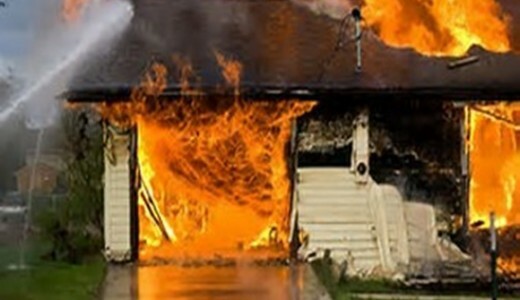 We specialize in property damage cases. Contact our office 24/7 for a free consultation regarding your rights and remedies if you have suffered a Fire Loss.